This entry was posted on May 11, 2018 by Rachael Walls. 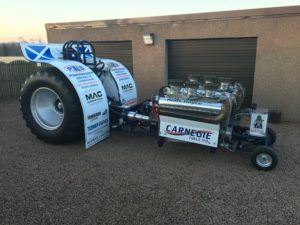 2018 Scottish & British Tractor Pulling Championships. 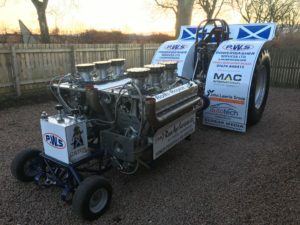 Powerwasher Services Tractor Pulling team will be at the following events later in the year. Starting on the 20th May at BA Stores, Aberdeenshire. Angus Show, Brechin on the 8th/9th June. Kirkbride, Carlisle on the 30th June /1 st July. Great Ecclestone, near Blackpool 24th/25th/26th August. Then the final at BA Stores, Aberdeenshire 15th/16th September. Jim Whitecross, Power Washer Services. © MAC International. All Rights Reserved.